Tax questions don’t have to be taxing. We are here to help you with your tax return, whether you are a foreign worker, visitor or permanent resident. When can I claim my tax return? What is/where can I get a T4? A T4 is a slip provided to you from your employer(s) which shows your total earnings and total tax paid over the financial year. You request this from your employer(s), who are required to provide it to you. You should receive you T4 for the prior financial year in January or February. For example you will receive your 2017 T4 in January/February 2018. We require the information on this slip to work out the highest tax return you can receive. What is/where can I get a T22? If you are a student then you will have a T22, which is a form provided to you from your educational institution. By using the T22 it may help you qualify to receive a larger tax return than normal. However, if you have not paid a large sum of tax during the last financial year it may not help you receive a larger return. Not to worry, if it does not help you receive a larger return this year you can also use it the following year. Be sure to keep a copy safe in case you want to use it next year. When and how should I use my T22? If applicable, a T22 issued from your school may help you receive a larger tax return. However if you have not been taxed a large amount during the previous tax period period, you may already be entitled to the majority of your tax back. We will help you decide whether or not to use the T22 tax credits in order for you to get the best result, as you can save your it for a future year which may help you gain a much larger return in the future. Am I able to claim public transit and medical expenses? As long as you have receipts for you public transit and medical expenses, they can be applied to your tax return. However in some cases if you were taxed a low amount for the previous year you may already receive the maximum return possible, in which case there is no additional benefit. There are also additional benefits and expenses that you might be entitled to, which we will assess. Why and how do I update my address or direct deposit information with CRA? Signing up to direct deposit makes life easier. Rather than receiving a cheque you can have the funds quickly deposited directly into your account. If you have already completed a tax return in the past you will be able to call CRA on 1-800-959-8281 and you will be able to set up your direct deposit over the phone, at the same time you may also want to update your address details over the phone as well. If this is your first tax return you will have to set up your direct deposit by filing out your tax return in paper form. Ask the team how to sign up to direct deposit if you are unsure. How long should it take to receive my return? After receiving all of your information we will file your return within 48 hours, and from there it is in CRA’s (Canadian Revenue Agency) hands. Their processing times can vary, but generally it can take up to 10 weeks from the date the return was filed, but is often quicker. Contact CRA directly and they will provide you with an update (+1 800-959-8281). We are unfortunately not able to do this on your behalf. You have filed my return, how do I check the status? Once we have filed your return it is then down to the CRA (Canadian Revenue Agency) to process the claim. To check the status give them a call on (+1 800-959-8281). We are unfortunately not able to do this on your behalf. We often come across the same tax myths each year, so here is a list of the main ones. I heard the tax deadline was in May? Can I still file my return? Although CRA recommends filing at the end of April, there is no strictly enforced deadline unless you are self-employed, in which case the official deadline for paying your tax is usually around June (changes each year). After this date you can still file your self-employed return, but you will be subject to paying any accrued interest on money owed. The reason you are encouraged to submit your tax return as early as possible is so that any tax credits or benefits you are entitled to are not delayed, so it is indeed good practice. I have to wait until April before I can claim my tax back? No! This is a rumour that seems to circulate a lot among foreign workers, perhaps because in other countries such as England the tax season runs from April – April, but it is certainly not correct here in Canada. You are eligible to claim your tax back from the previous year, just as soon as you receive your T4 from your employer or employers. So as an example, in 2017 you can claim back tax paid throughout 2016, just as soon as your employer provides you with your T4. In theory this could be as early as January, however most employers won’t get around to providing this until February. It’s too late to submit a tax return from a previous year? Nope! 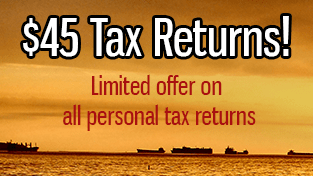 You can submit your tax return for 2014, 2013 and even further back than that. Although this can sometimes be a little messy which could delay any potential refunds, you are able to file a return from a previous year, but this is done via a paper copy as oppose to electronically. I no longer live in Canada or have a Canadian bank account, which means I can’t claim my tax? Incorrect! Even after leaving Canada you are entitled to claim tax that you paid while you were here. We often see overseas workers leave without knowing or bothering to claim their tax, which can amount to several hundred dollars, or even thousands of dollars in some cases. Crazy! You are also not required to have a Canadian bank account, so don’t let that put you off filling in your return. It isn’t worth the hassle for me to claim my tax? This is the most important point to make, as at JacksTaxBack.com our average tax return for 2016 was over $800, so it is a very decent amount! Even if you only worked a short period of time you are still entitled to claim, and will often get close to claiming your full taxed amount paid back to you. If you have any further tax related questions then do get in contact with us and we will get back to you ASAP.